KALIFA & KOLIBA - SATURDAY HEADLINER - Boston GreenFest - Aug. 16-18, 2019 - FREE! High Spirited International Dance Music emanating from West Africa. 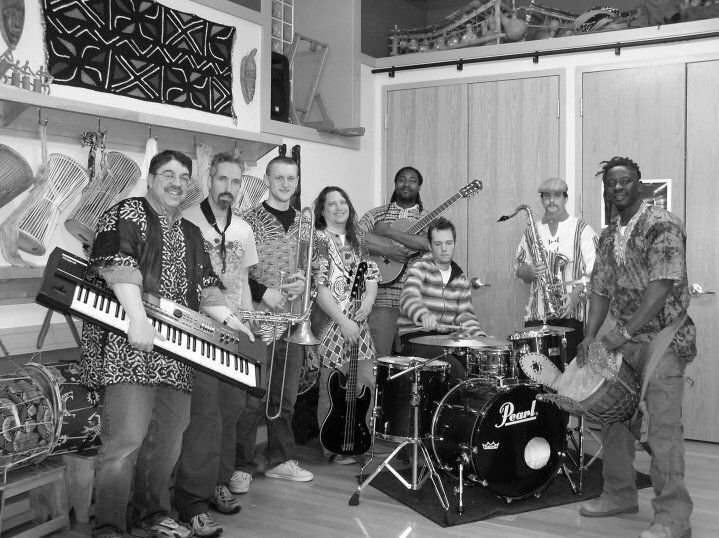 Kalifa & Koliba blends the traditional music of West Africa with the contemporary sounds of America. Bringing together musicians from Africa and America, this Afro-pop band presents a unique blend of traditional and modern styles including West African Rhythms, Hi Life, Reggae, Ska, Zouk and more. Audiences don't just attend performances of Kalifa & Koliba, they experience Kalifa & Koliba. Bandleader Mohamed Kalifa Camara is a Professor at Berklee College of Music in Boston and has traveled the world playing Traditional West African and Afro-Pop music. Kalifa & Koliba takes the audience on a journey from ancient Africa to modern, urban America with a sound and beat that brings the audience to their feet dancing and singing along. Find more on their FACEBOOK PAGE.